The numbers on the centre surface of the tyre indicate how much of the main groove depth remains on the tread. 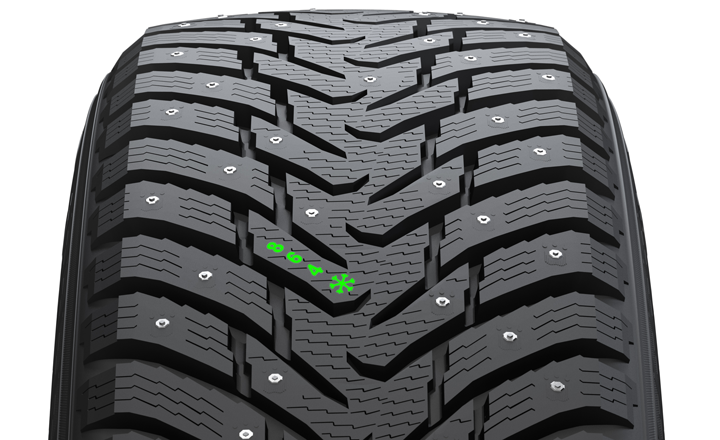 The snowflake symbol Winter Safety Indicator (WSI) remains visible to a groove depth of four millimetres. Once the snowflake has worn out, the driver should purchase new winter tyres to ensure sufficient safety.